Tyler Perry is the writer, producer, and director of this film, as he is for all of his films, movies, and plays. Keeping in format with his own personal style of reality, he, again, personalizes this film to his own values and beliefs. Madea Goes To Jail is about a woman who tends to defy all odds of facing jail without fear. Although, Madea is a character in this film, she is not the main character. There are several. The story centers around a young prosecutor who must face a shameful secret from his past that could have led to one of his best friends leading a life of drugs and homelessness. Trying desperately to guard his secret is making it impossible for him to maintain his relationship with the woman he intends to marry and tearing their relationship apart, until his fiancee decides to take matters into her own hands without knowing what the secret is or about. She arranges for some jail time for the woman she believes has become a grave threat to her intended marriage. Her intend-to-be finds out what she has done and sees his fiancee for the very first time for who she really is. 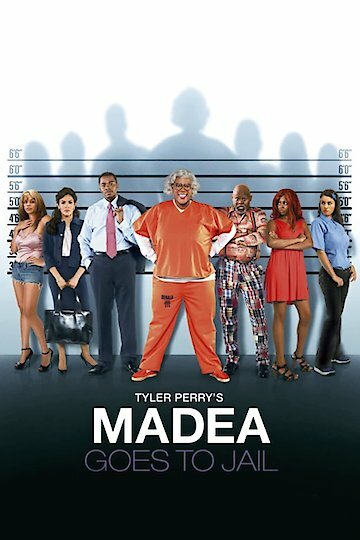 Madea Goes To Jail keeps in tradition with most of Perry's films, movies, and plays by pulling no punches and keeping nothing under covers when it comes to exposing evil whenever and wherever. He does this in his usual manner through characterization. The characters are powerful and very moving. Perry believes that through his characters, his messages can be delivered. His messages are about love, understanding, religious freedom, and choice. His plots are never oversimplified. Madea Goes To Jail was funny and very lighthearted. In this film Tyler Perry shows us that everyone on the wrong side of the tracks are human beings with human feelings and human emotions, and just because there are those that do better than some, it makes no difference in who you are, for the bottom line is, no one is better than anyone else, that no amount of money or power can change who you really are. Madea Goes to Jail is currently available to watch and stream, download, buy on demand at TNT, Amazon, Vudu, Google Play, YouTube VOD online.